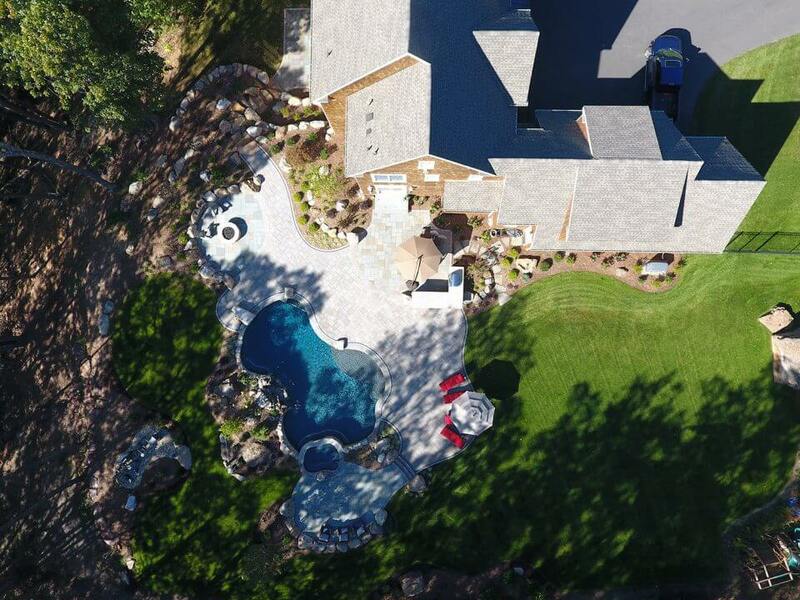 Along with one of our Business Associates, Clarke Landscapes, this backyard sculpture evolved from a heavily slopped, somewhat unusable back yard into a relatively flat backyard with a large gunite pool and spa with large natural waterfall. The family came to us wanting, “only a gunite pool”, having no preconceived design in mind or ideas on waterfalls or spas. The design, like most of what we create, was a collaboration between the designers and clients; we take their “dreams, desires and wish lists” and supply them with a proposal to transform the backyard space into something that meets all their demands while staying within a budget that “works”. The well line had to be re-routed in order to put the pool in the “right” place. A significant amount of fill was hauled in. There was some ledge that we were able to remove with one of our several heavy machines. 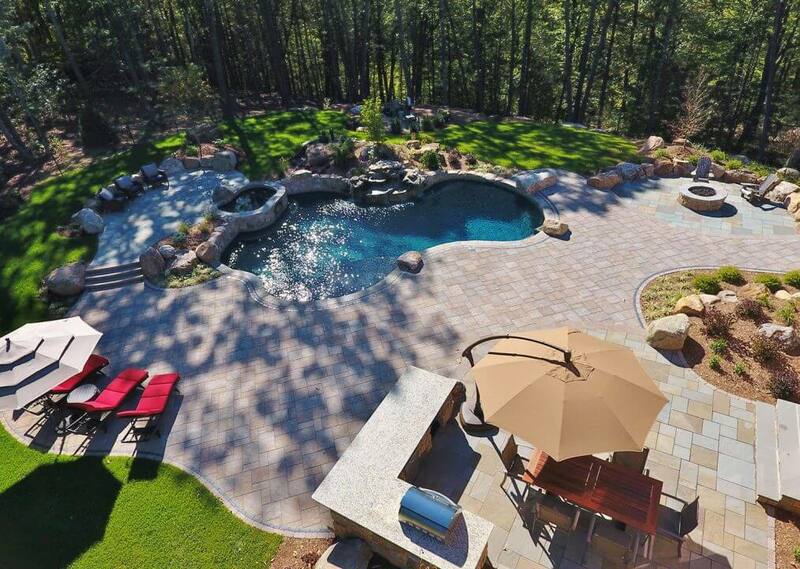 And while another pool builder may have put the pool in a less than desirable area, we were able to work with the clients’ budget and remove all obstacles so that the end result is not only spectacular to look at, but is in the very best location to take advantage of all that the lot had to offer.